East Orange, New Jersey: The City of East Orange will soon have two 7-Eleven locations. A new 7-Eleven convenience store will be located across from the Central Parkway Professional Building near the Garden State Parkway at 93 Hawthorne Avenue, at the corner of Central Avenue. The project was approved last week by the East Orange Planning Board, according to a legal notice. A gas station closed over a decade ago at the site. Currently, a building which used to contain Flowers by Marlo and the Central Mini Mart stands at the property. 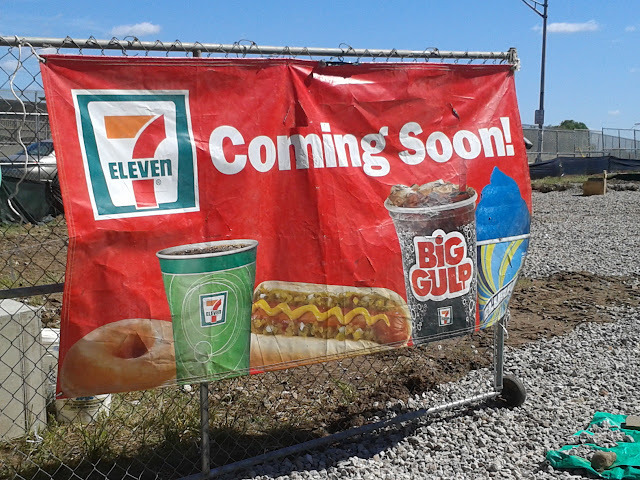 That building will be demolished to make way for the 7-Eleven franchise. 7-Eleven opened its first East Orange location on Freeway Drive East near the main East Orange Public Library in December, 2015 after breaking ground in September. The company has been rapidly expanding in Essex County in recent years, and has opened stores in Livingston, Newark, South Orange, and Maplewood in recent years. Another franchise is proposed for Elizabeth Avenue in Newark's South Ward.